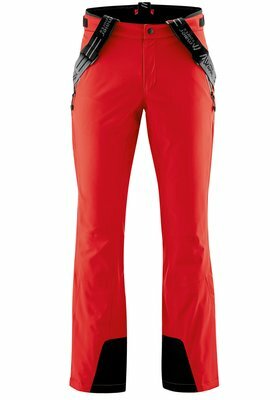 The right styles for ultimate skiing fun. 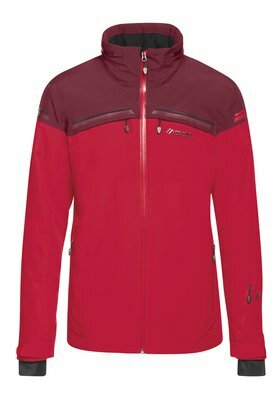 When developing our ski clothing, we focus entirely on the needs of committed skiers. 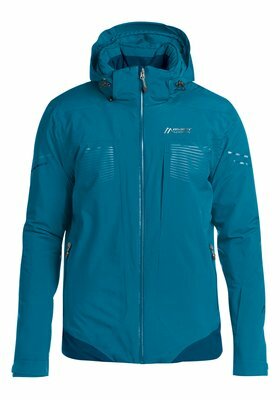 It is of maximum importance to us that our ski styles work reliably when they’re used outdoors. For this, they have to fit perfectly. Only something that fits properly can work properly. 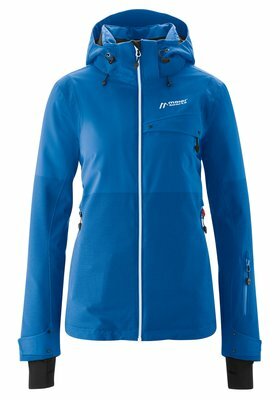 When it comes to fabric, we focus on functioning weather protection. We offer a differentiated spectrum of our mTEX weather protection membranes for different requirements, usually in connection with our mTHERM heat insulation. These little details often make a huge difference. That is why we invest a lot of work and know-how into practical aspects. 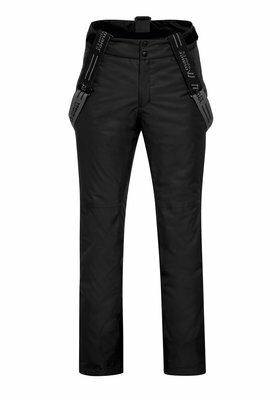 This includes snow guards and cuffs that really keep the snow out if an excursion into deep snow is on the agenda. 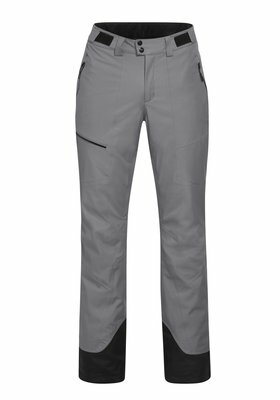 Edge protection increases the lifespan of our pants. 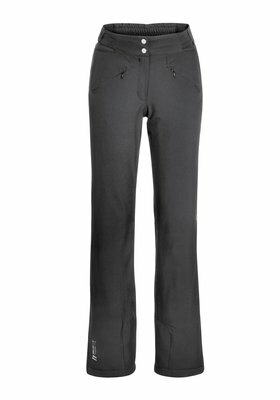 The adjustable waist always adapts to the body. Pockets are located where they are needed. Skiing is an emotion, it’s the enjoyment of the great outdoors and a group experience. Skiing means enjoying movement. 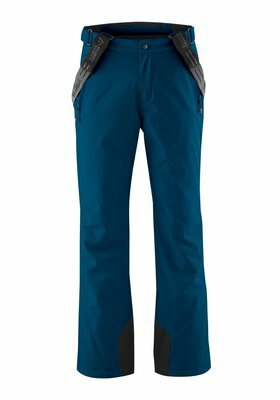 For this, Maier Sports has created a Ski line. 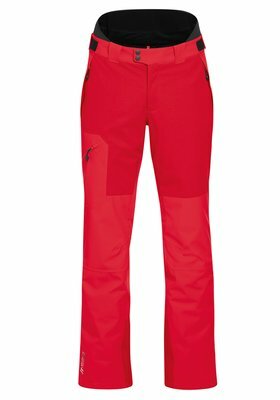 This collection is called Maier Sports Alpine, offering tailor-made ski outfits for ambitious skiers. No matter whether you visit Saas-Fee, Banff or Garmisch: Alpine ski clothing is made for all those who want to make a fashion statement as well as show off their sporting commitment. 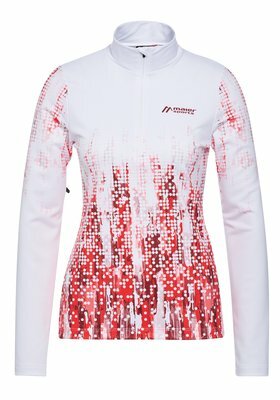 Silver appliqués and colour blocking patterns add a fashionable touch to the women’s styles. 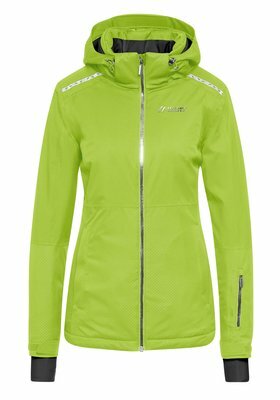 The colour choice ranges from dynamic and sporty to lady-like and feminine. 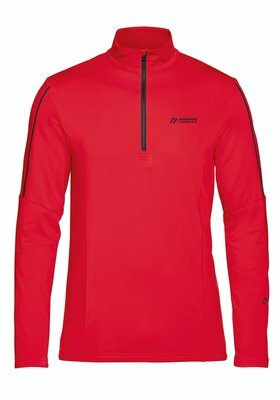 In the men’s line, it’s obvious that our designers were inspired by former racing outfits. This is characterised by consistently sporty colours as well as sleek styling and interaction of contrasts. 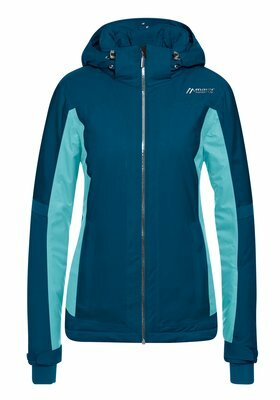 All of our jackets also feature an environmentally friendly PFC-free finish. 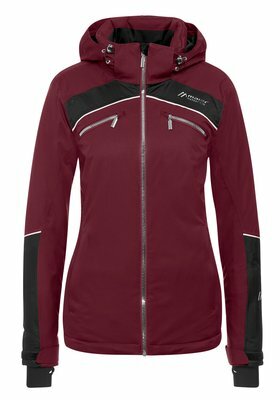 Many practical details such as the snow guard, detachable hood, tightly sealed cuffs and a good number of pockets in the right places will guarantee that you’ll enjoy your time on the piste, even in harsh weather conditions. Purist, sleek, reduced to what’s essential. 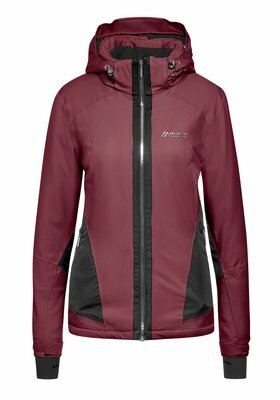 Alpine Pure – the perfect collection for demanding ski enthusiasts who attract admiring glances with their polished technique. 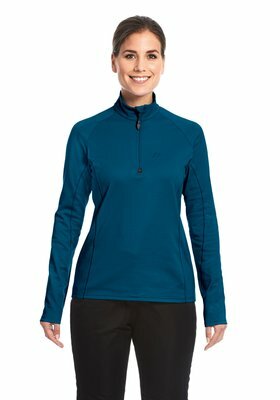 The three most important ski styles are available for men and women: Ski jacket, ski pants and ski turtleneck. Everything is functional and clearly synchronised, perfectly colour co-ordinated, of course. The monochrome look is right on trend. 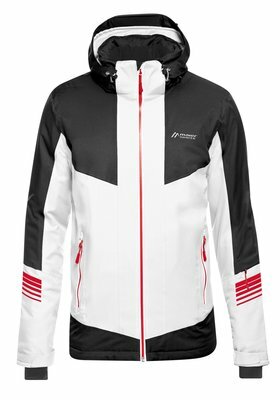 This single-colour characteristic adds a design highlight because the outer fabric of the jacket and pants displays a surprising contrast between the woven-in structure and smooth plain surface. No seams. No tape. This requires an intricate pattern repeat of the exclusive fabric. The Dammkar Pure ski jacket is equipped with an extra long ventilation zip on the forearm. 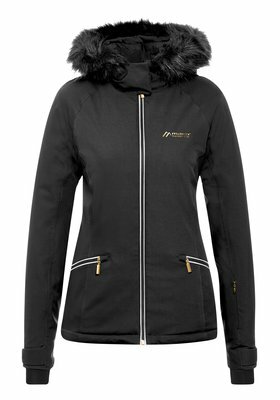 The close-fitting cuffs and high collar keep the snow out and warmth in. 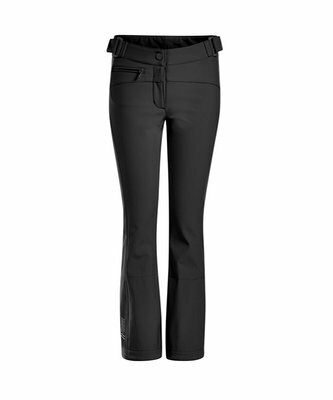 The perfect fit ensures maximum wearing comfort. 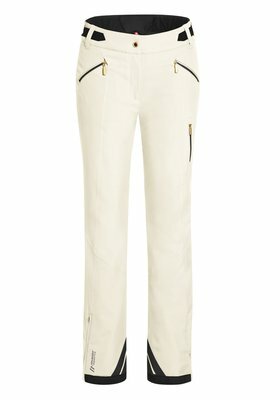 To go with the jacket, pants with the same name and identical fabric are available. 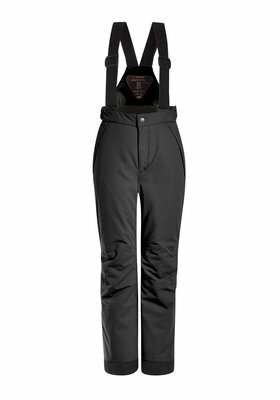 The technical Dammkar ski pants with their casual and sporty cut feature an innovative waist solution, for example, that adapts to the body, thanks to its integrated neoprene insert. 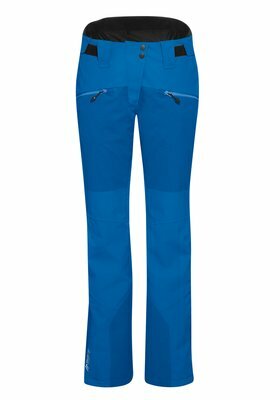 We interpret the topic of skiing much more fashionably in our Spirit Collection. Very sophisticated and elegant. 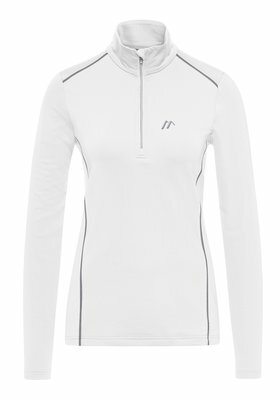 For women, the range is very feminine, yet sporty at the same time. The men’s look is sleek and cool. 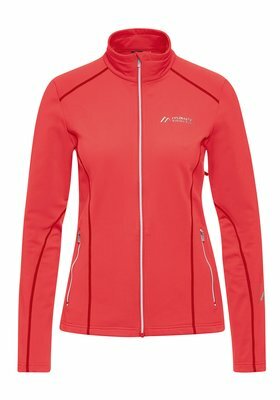 Designed for good skiers who want to confidently demonstrate their skills with their stylish outfit. Maximum function, the best fabric and a design conveying understatement. 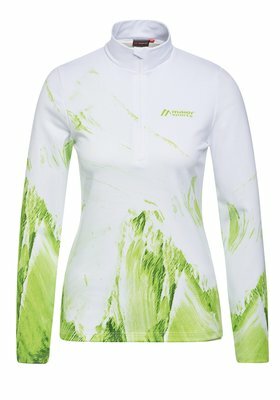 The Spirit line for ski ladies is elegant and stylish. This is underlined by the perfectly co-ordinated colouring as well as the beautiful tone-on-tone fur collars and the clever fabric mix. Metallic effects are a must this season. We are going for warm gold. The men’s look is very sporty, without being brash or pretentious. It’s more a chic understatement that highlights its wearer’s classiness. The sporty and masculine cut ensures the perfect fit. 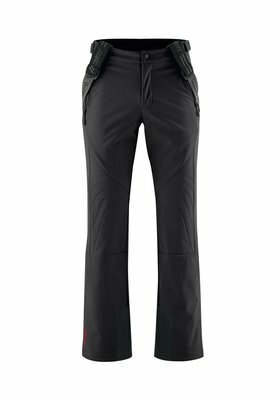 Key details such as closely fitting cuffs with thumbholes, and snow guard guarantee comfort and functionality. The highly breathable, waterproof and windproof mTEX weather protection membrane is used throughout. 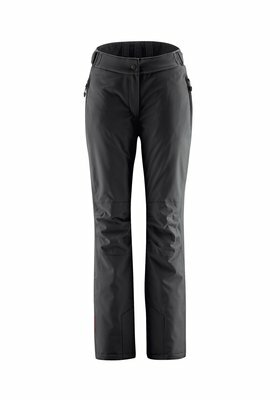 This bi-elastic fabric guarantees maximum freedom of movement for enthusiastic skiing in all terrains. Even more perfect, more individual, more versatile. 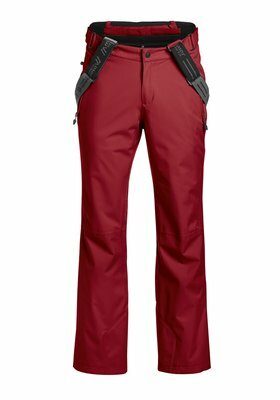 The choice is yours this season when buying your new ski pants. Our cut experts are offering you additional options to go with your very own style. 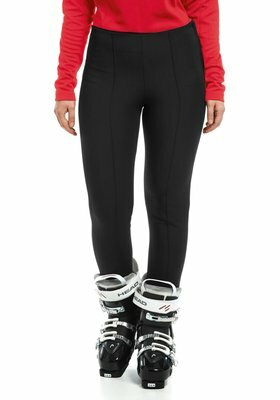 In addition to our time-proven Regular Fit, we also offer ski pants with Slim Fit, Loose Fit and O-shape. Just as you expect from a fitting and pants specialist. 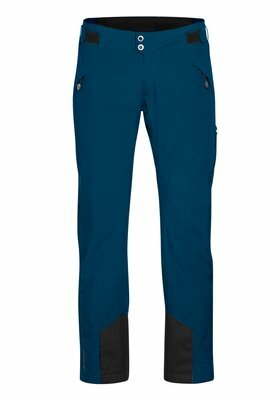 Maier Sports is the pants and fitting specialist. That becomes obvious again in this collection. 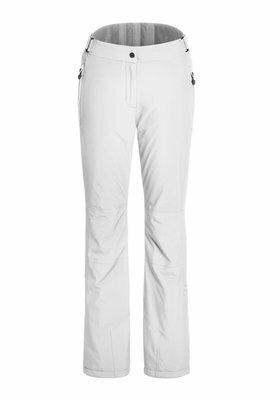 Our Light pants for warmer days skiing continue to cause a sensation. Casual styles, too, which can be worn on the hips and convey a free-rider feeling, have caused a stir, especially as innovative waist solutions have been used. The colours are perfectly co-ordinated with our huge choice of ski jackets. 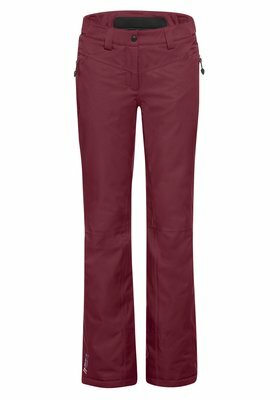 Maier Sports has something for everyone, whether ambitious skier, casual free-rider or spring skiers who want to enjoy warmer sunny days. 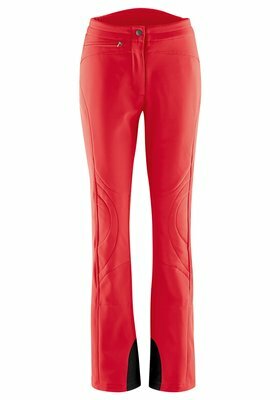 Discover Maier Sports ski pants now with edge protection, a higher waist for warm comfort on the hips, or ski pants with a stylish cut for the most important action - arriving at the pit stop. Children are important to us. We have created a separate collection with its own design and colour scheme for them. Colours, designs and cuts are completely geared towards the world of children and adolescents. 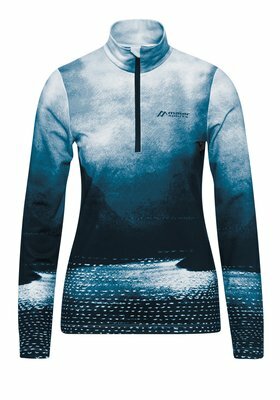 The functional fabrics, practical details and quality are the same as for the adult styles. We have kept our family-friendly mGROW system with sleeves and legs that grow with the child. It’s the middle that matters. This is certainly the case for the ski outfit’s layer principle when it comes to insulation and comfort. 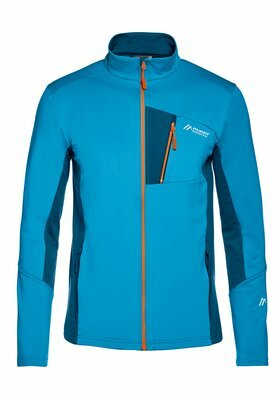 What you’re wearing between the functional vest and your jacket is so important. The bit in between is the midlayer. It is this midlayer that ensures you’re not getting too hot or too cold, not too damp or uncomfortable. 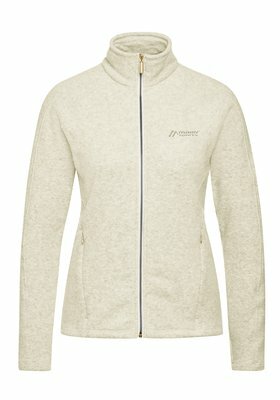 You can choose from cosy and warm fleece items that capture a lot of insulating warmth. 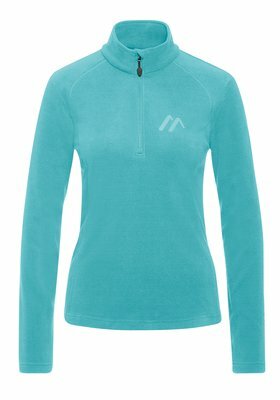 A half or full zip helps you adjust ventilation. 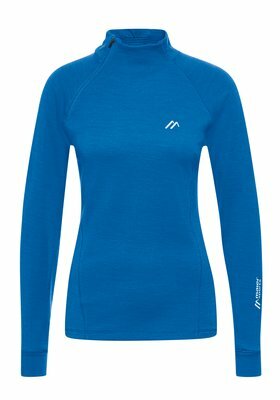 Or do you prefer a thin midlayer when temperatures are moderate? But the midlayer is much more than that. It’s also a fashion element. The style, colour and cut should fit you perfectly. After all, you’re showing off with it in the hut, when you arrive and leave, in the restaurant and hotel, when strolling through shopping promenades and during après-ski. And that is why we developed our functional midlayers in a variety of different fabrics, feels, shapes and styles. Close-fitting, flowing, waisted, with a straight cut, in bright or muted shades, with sporty or playful prints or as a sleek plain-coloured style. 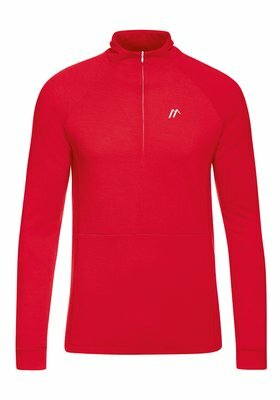 You can adapt your midlayer to your pants, jacket, hair or eye colour.